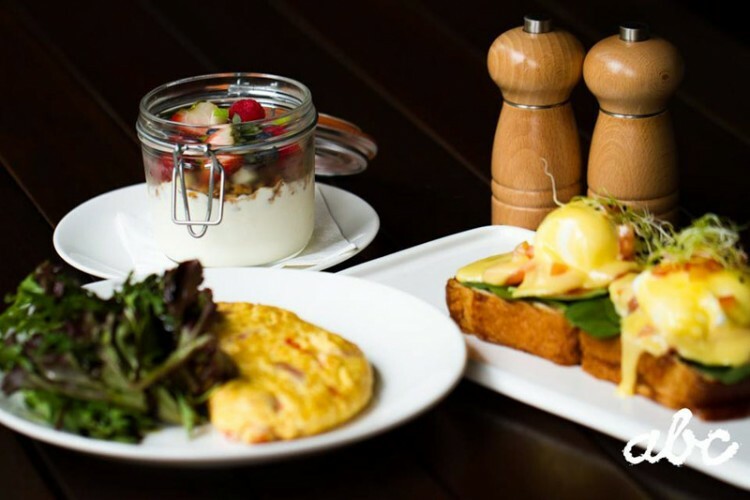 Given the wide variety of restaurants, food outlets and such sprouting up in the Tanjong Katong neighbourhood, one is definitely spoilt for choice with the huge number of options here. But amongst all these, which are the ones that are actually worth the visit? 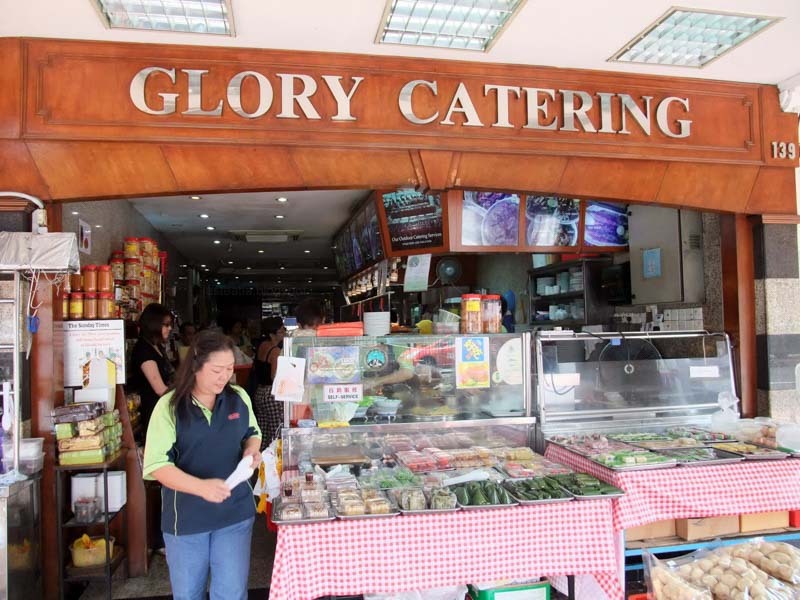 As a certified Katong/East Coast hoodster, let me simplify for you the best of the best. Here we bring you the top 25 must try foods in the Katong neighbourhood, from German Bier Bars to the different chicken rice stalls and wonton noodles in town. 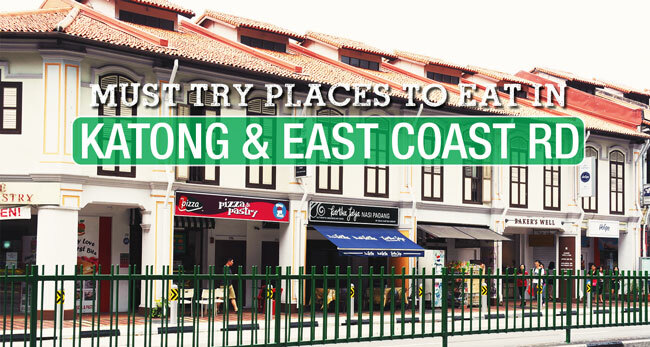 Katong/ East Coast sure has one of the most diverse foods to offer in Singapore, and now, with this food guide, you will know which to try too. 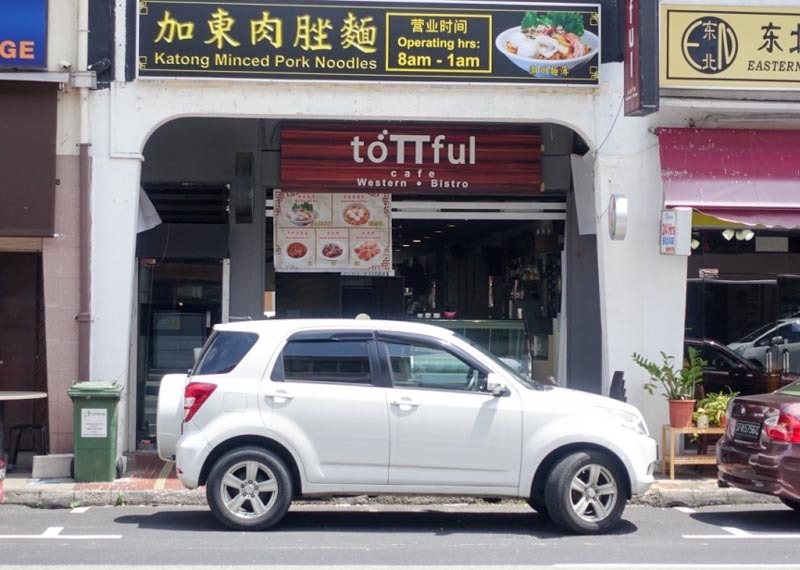 Nestled in a unit almost to the end of the row of shophouses along East Coast Rd is a three-month-old cafe by the name “toTTful Cafe”. This cafe was initiated as a social enterprise to help teenagers, particularly the youth-at-risk and their families, by giving them a platform to reintegrate back to society. Offering a Western cuisine, customers can choose from a lineup of pastas, fish & chips and chicken cutlet. Above all, I’d especially like to highlight toTTful Cafe’s signature braised wagyu beef cheek. Tender and savoury with a specialty house sauce, this dish a must-try for this budding and flourishing cafe. Over at the basement of a pretty secluded shopping centre lies this hidden gem. Definitely one of the better chicken rice in Singapore even, their servings are generous and satisfying. Paired with a free bowl of homemade soup (not the msg stuff) of the day and achar. 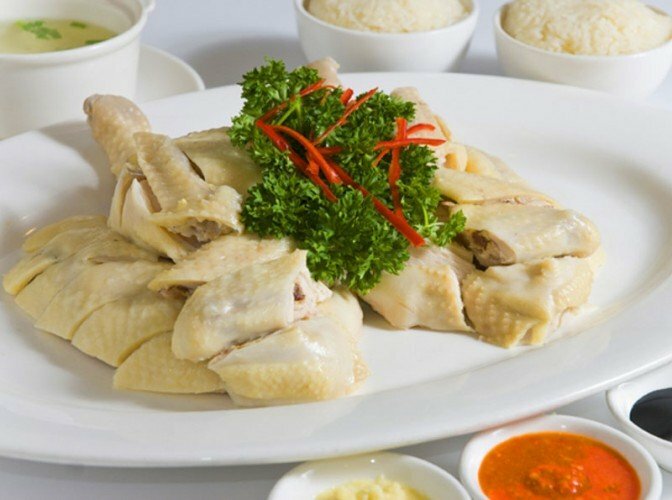 If you order their Roasted Chicken Rice ($4.50), you will be devouring crispy skin atop soft and succulent chicken meat. If not, the White Chicken Rice will also leave you on cloud nine, with a layer of jellied fats above the meat. 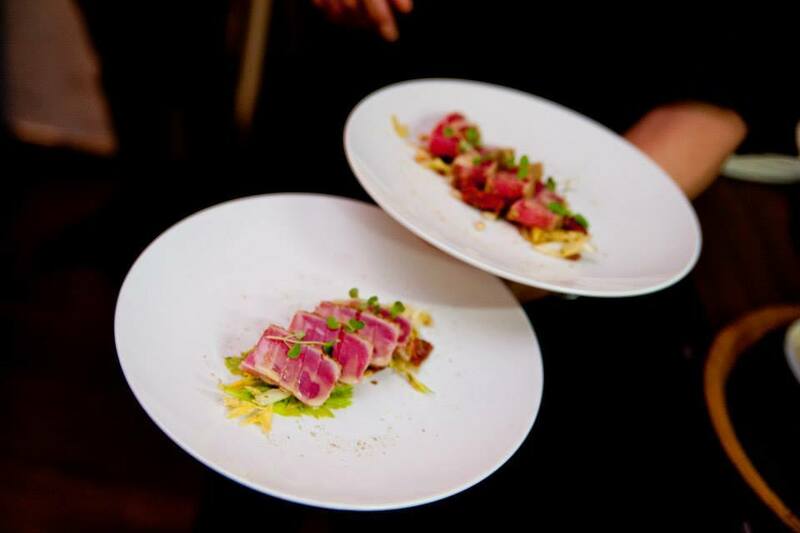 Etna serves authentic Italian Cuisine, complete with a Silician touch. The friendly Italian chef-owner Anna Borrasi greets one with a wide smile, offering us the whole, comprehensive italian dining experience just as we enter its premises. 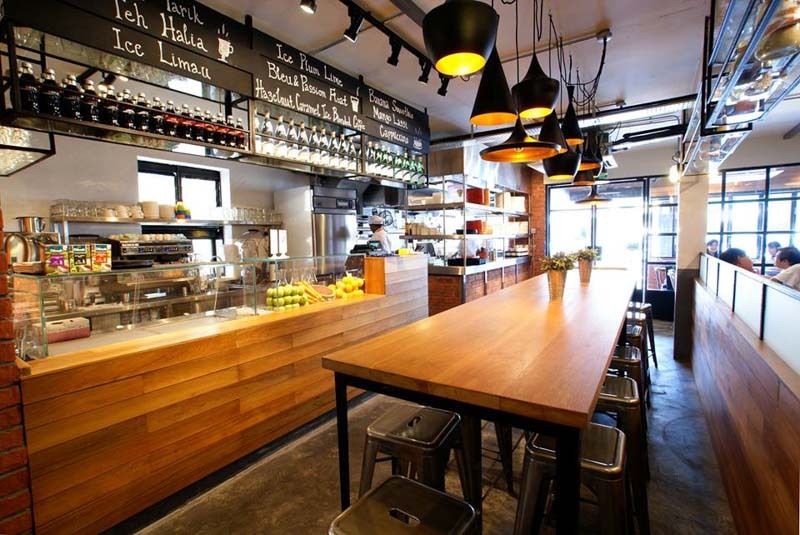 They have opened another outlet at Duxton though, so Chef Anna might not always be on deck. With its homely setting, it is one of my favourite places to come for a hearty, traditional Italian meal at an affordable price. 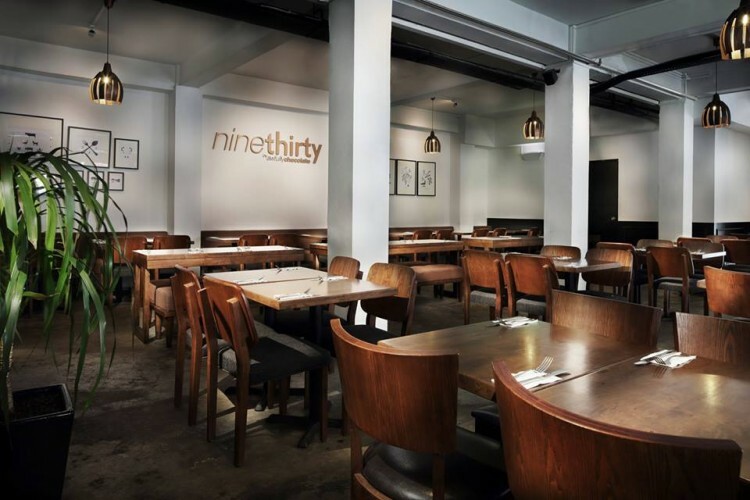 Just opposite Katong i12, Ninethirty by Awfully Chocolate is well loved by all, with its wide selection of an all-day breakfast menu, as well as their famous awfully chocolate desserts to boot. 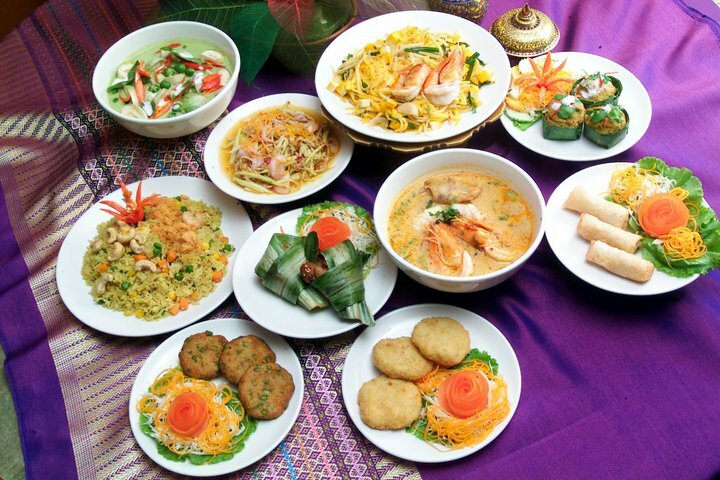 Definitely the place to go for affordable yet delectable authentic Thai cuisine. For a simple, casual meal, Jai Thai fits the bill perfectly, with homely, comforting Thai dishes such as their Fried Tang Hoon ($6) and Green Curry Chicken ($6). 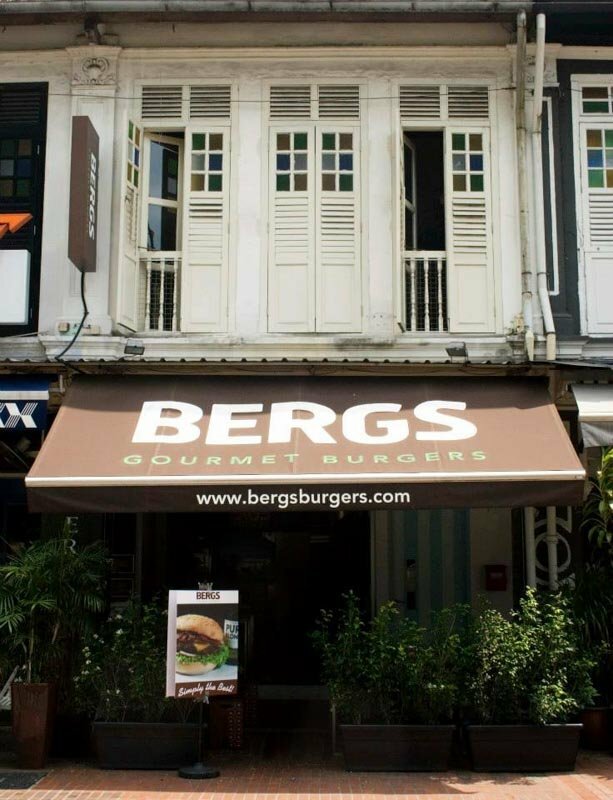 BERGS burgers will satisfy your lunchtime burger craving, especially with its wide selection of juicy, flavourful burgers to choose from. Burgers are available in 2 sizes, to cater for either the incessantly hungry stomach, or one that just need a small snack. 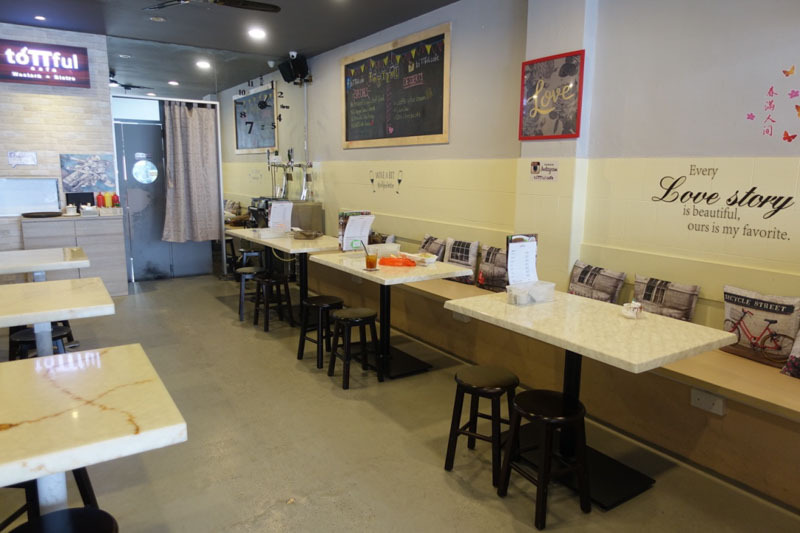 Located at the extreme corner of a row of shophouses is this quaint and snug cafe with a tongue-in-cheek name “Rabbit Carrot Gun”. The ambience is very much relaxed and informal, and I find the layout of both the exterior and interior likening to an actual terrace house. Rabbit Carrot Gun serves up a variety of British and international fayre, created from quality ingredients. The dishes here are unique and extraordinary. 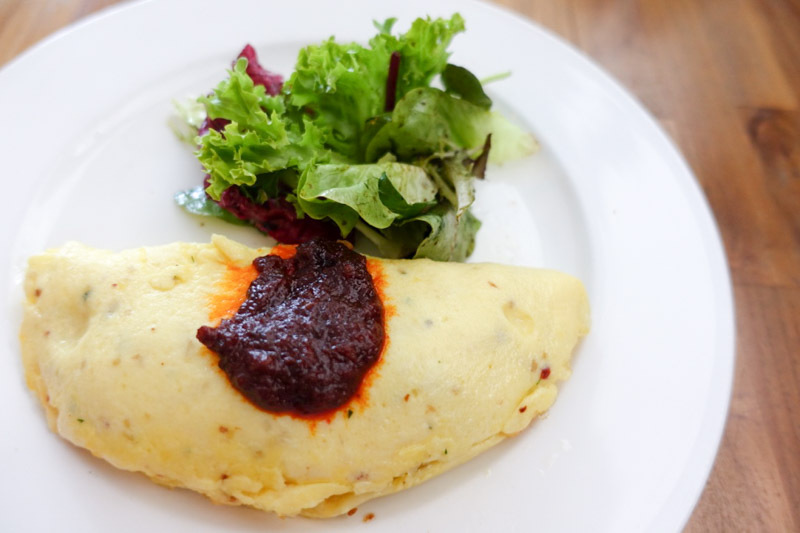 One of the signature brunch dishes, the omelette with sugar cured prawns & sweet sambal ($17) is an amazing fusion of the British omelette with our local sambal chilli sauce. It being a casual dining restaurant, I was surprised to find out that it also offers a boutique accommodation. There are three types of suites for patrons to choose from. 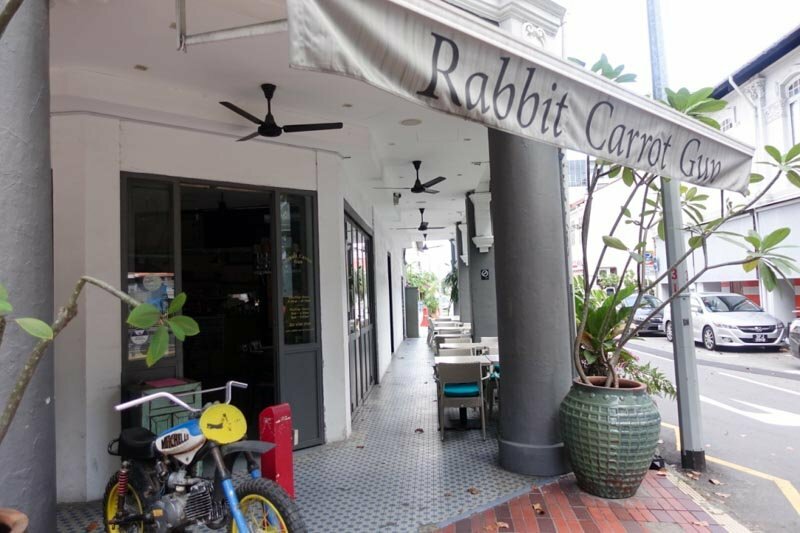 With the cafe and accommodation located within the premise of rich Peranakan culture and good eats of Katong, Rabbit Carrot Gun is an ideal choice for your next staycation. Offering traditional, authentic Nasi Padang from Indonesia, Garuda is suitable for a simple family meal, with their wide variety of dishes to select from. I deeply appreciate their Telur Bomb egg omelette ($2) and Sotong Hitam; Black ink squid ($6). Glory Catering has been around for as long as I can remember, and together with their delicious Nasi Padang fare, certain Nyonya dishes are incorporated into their extensive menu as well. A family business, it sure is a place where one can experience true home-cooked food fuss-free and conveniently. 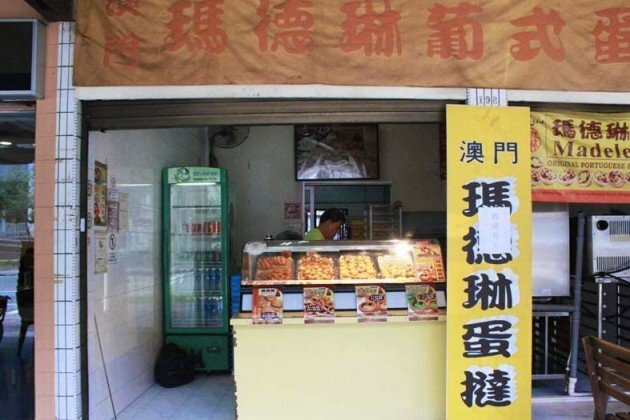 A very simple Yong Tau Fu shop, Ampang sells simple yet tasty fare perfect to cleanse one’s palate. One of the better Yong Tau Fus around the area, Ampang is one that I consistently go to for good, standard YTF. Tracing back to its humble beginnings in year 2004, Baker’s Well started out as a labour of love which produced homemade products from their ovens for everyone to enjoy. Ten years down the road, the owner’s niece and partner have joined their efforts in putting their design and industrial skills to help rebrand and refurbish the Baker’s Well. What we see today is a beautiful shopfront and an artistic concept that encompasses the interior of the bakery cafe. 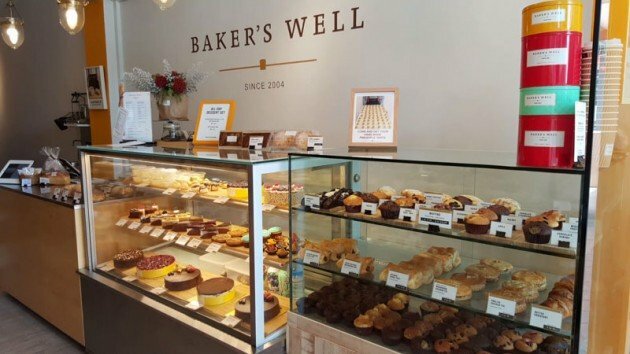 Baker’s Well serves an array of delicious artisan bakes ranging from bread, cookies, muffins, pastries to cakes. Tried the almond croissant ($3.50) during my visit to the bakery cafe. I had found this piece of artisan bake intriguing. It is not the usual croissant, in that it has a texture similar to that of bread. Upon bite, the croissant was springy and spongy, exuding a very fresh aroma of bake. The almond flavour was rich but not too strong, and I love it this way. Overall, the delicacy emitted alternate chews of sweet and almond flavour. It was a good balance of taste. Topping it off, the almond nuts were fragrant. I have been frequenting Al Forno for as long as I can remember (since I was a little kid), and it never fails to impress each time. 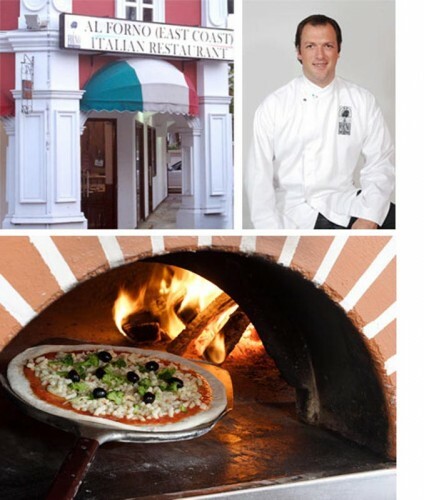 One of the best Italian Restaurants around, Al Forno is not a restaurant you should miss out on, especially since you’re able to witness the whole pizza-making process there. From the kneading of the dough, to shoving the pizzas into their special fireplace-oven, the whole experience is one to remember. Of course, their food is definitely a notch above the rest. My all time favourites including the Pizza Primavera ($27), topped off with wild rocket and parma ham, Spaghetti Cartoccio; seafood spaghetti ($60 for 2 pax), Spaghetti Al Nero; squid ink pasta ($25) or even just a simple Pizza Margherita ($22) will do wonders to your tastebuds. 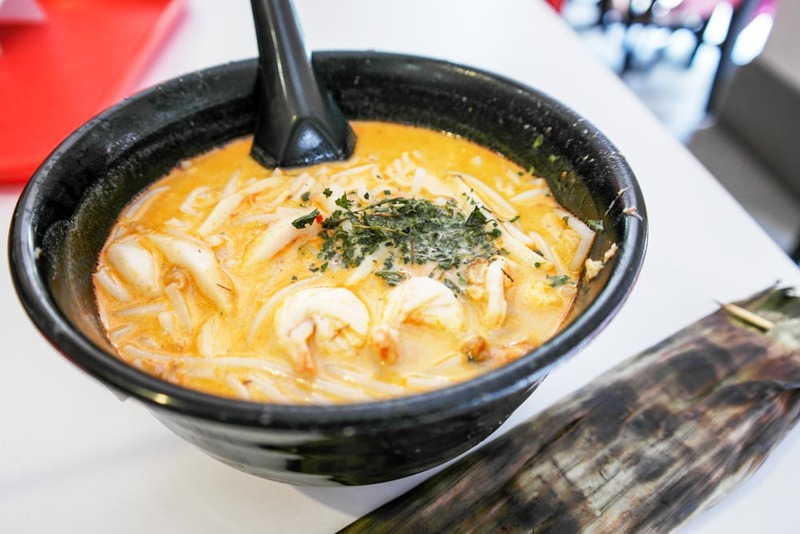 Yes, the all famous Beach Road Prawn noodle has made it on my list as well, with its flavourful, robust, thick soup base, coupled with fresh prawns daily. Here we have the Jumbo prawn noodle ($11.80) from beach road prawn mee which comes with three large prawns that are halved. 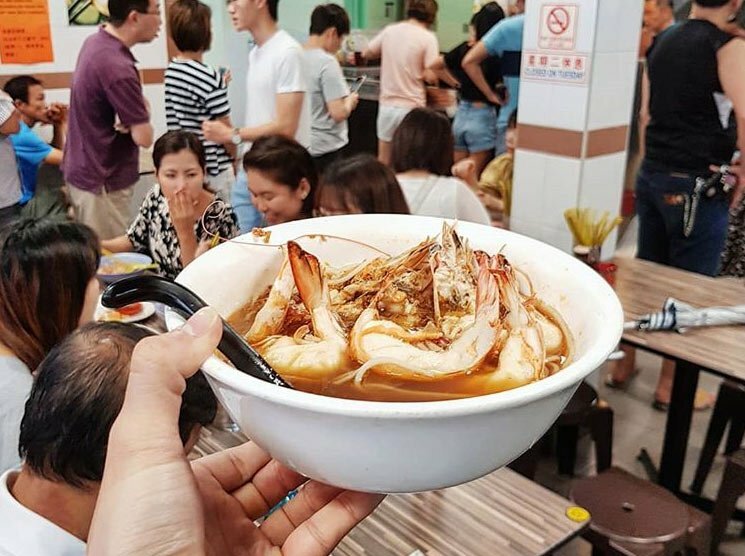 The soup flavour is made with a traditional pork rib and prawn combo, but this thick soup is the standard all prawn mee stalls in Singapore should aspire to be. You can also try the Ngoh Hiang next door which is pretty decent too. A place for authentic North and South Indian cuisine, Zaffron Kitchen’s always-crowded premises is testimony itself for its praise-worthy Indian cuisine. 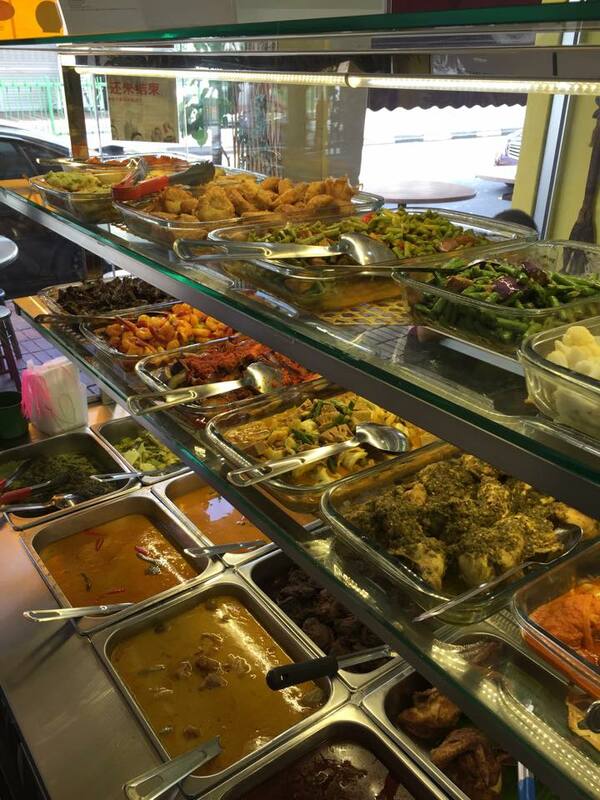 Having won many accolades, Zaffron Kitchen is the place to go if you’re craving good old-fashioned favourites from the tandoor and zesty curries, complete with a plethora of spices to match. Draped with a striking yellow signboard, I was quickly attracted to Madeleine’s storefront. Very much a fan of egg tarts myself, I immediately responded to try the store’s proclaimed original Portuguese egg tart. 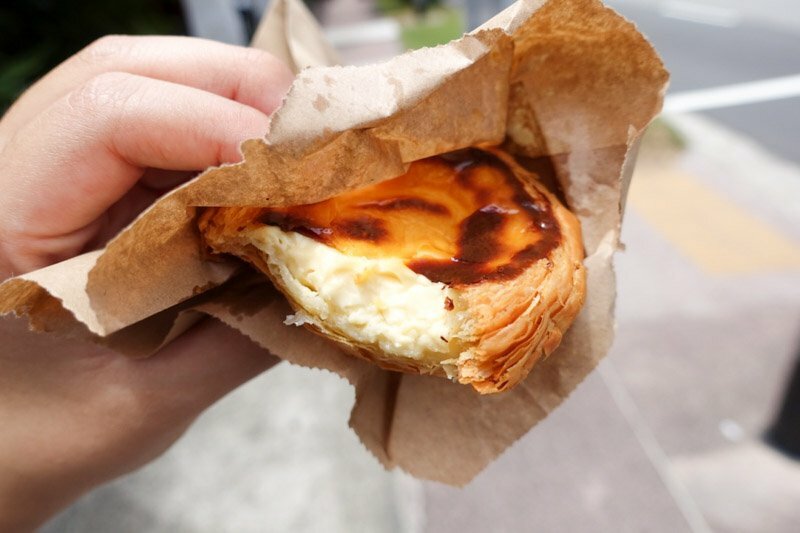 Biting into the egg tart did not disappoint my expectations before buying this piece of savoury treat. It gave a delightful caramelised flavour, together with its warm and smooth custard filling. I like it that the custard was firm and not too fluid. Topping it well, the crust was very crispy and I love the way it flakes off delectably upon my every chew of the egg tart. Join the long snaking queue that almost extends all the way to the main road for Ponggol Nasi Lemak’s amazing, juicy and crispy fried chicken, as well as other nasi padang dishes that will leave you returning for more. 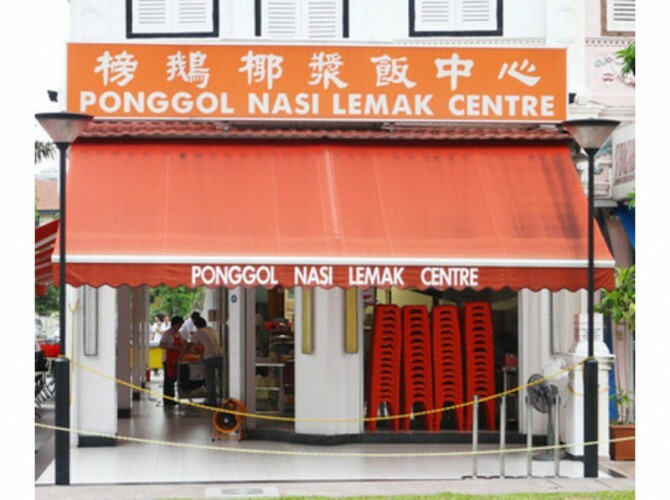 Yes, this famous nasi lemak is really expanding into every neighborhood. 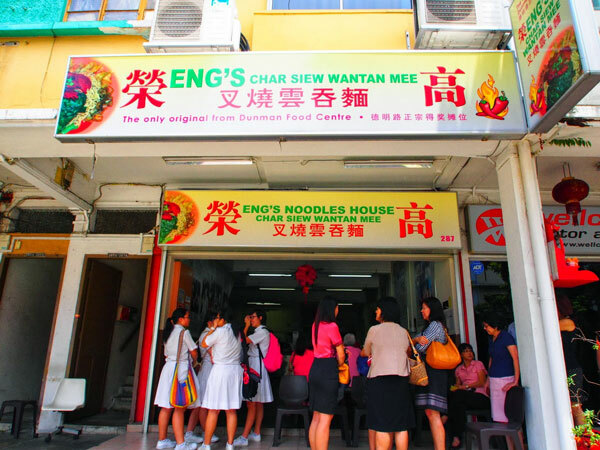 Hailed for its super spicy chilli, I find Eng’s Wanton mee very delectable specifically because of its chewy and light egg noodles. Paired with their spicy free-flow chilli sauce, you’re guaranteed to leave this place with a swollen tongue. 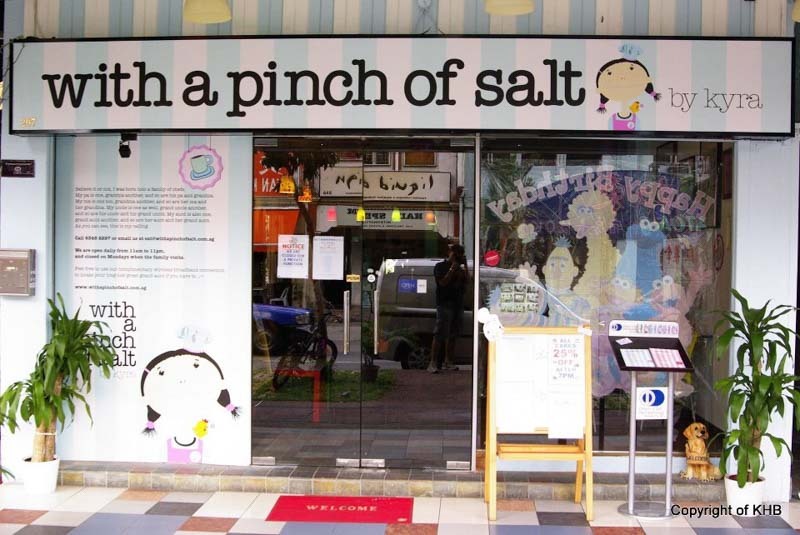 A family run establishment in itself, With a pinch of salt offers affordable, family-friendly meals at affordable prices. 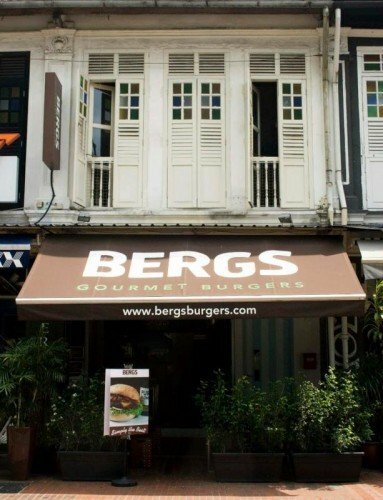 It’s a great place to try if you happen to be around the neighbourhood and craving for some good homely western cuisine. Who doesn’t like a good frog leg porridge for supper? 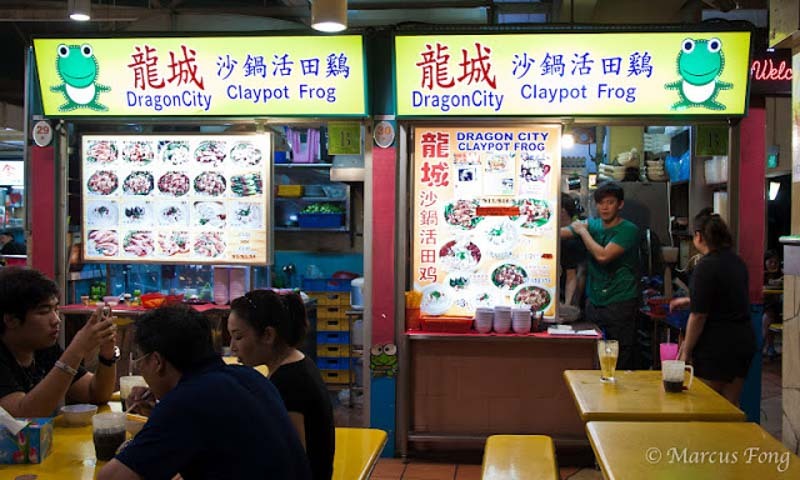 Open up till the wee hours in the morning, Dragon city offers a satisfying, piping hot claypot frog porridge for a hearty supper. Fei Fei wonton mee has been my favourite place to enjoy a bowl of traditional wonton noodles and dumplings for as long as I can remember. This original storefront has been dated all the way back to my grandmother’s era, and the fact that its still surviving now, is further testimony of how good their wonton mee is. Their chilli paste is actually what makes it so amazing. Juicy and flavourful, it coats each and every strand of egg noodle with just the right amount of spicy, making it such a hot favourite. 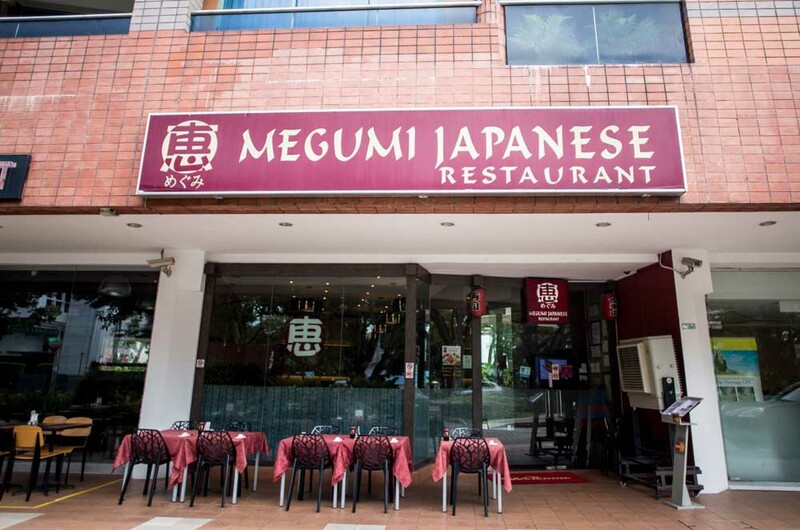 Serving fresh sashimi daily, Megumi is the place to go for your Japanese fix. A good Japanese restaurant is definitely well appreciated here in Katong, and you might have to wait for 15 minutes at least, depending on availability of tables. As it name suggests, 5 star chicken rice, may actually be seemingly worth all 5 stars it bestows upon itself. 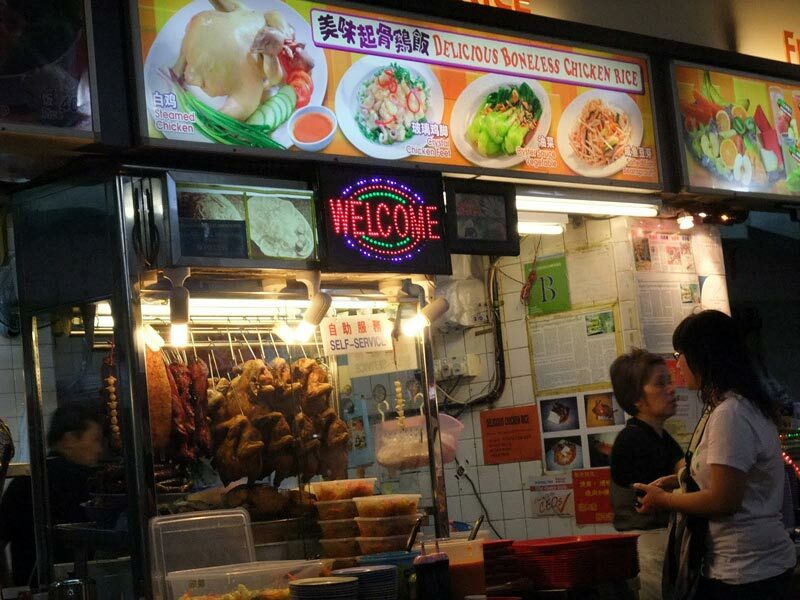 Their rice fragrant and chicken tender, this chicken rice stall is actually not bad for a quick meal and joins the many chicken rice options in the Katong area as a worthy try. 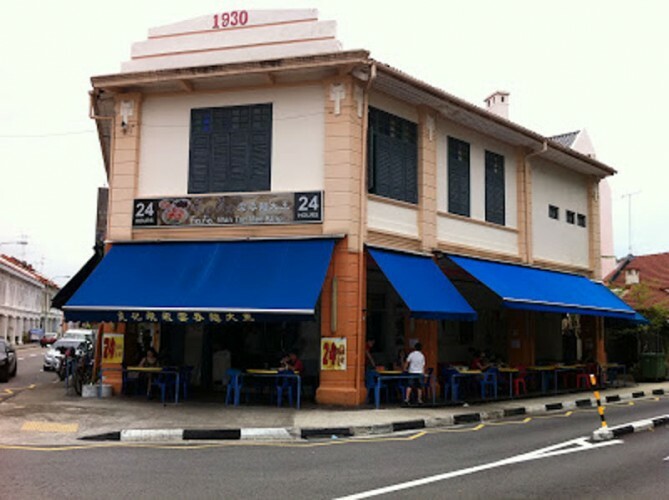 Highly raved by Laksa lovers all over Singapore, this particular 328 Katong Laksa stall is believed to be the original Katong Laksa, and I believe its name can speak for itself. The laksa noodles are cut into short lengths and only requires a single spoon to eat. Due to mass commercialization though, the soup doesn’t seem as robust as its early years. 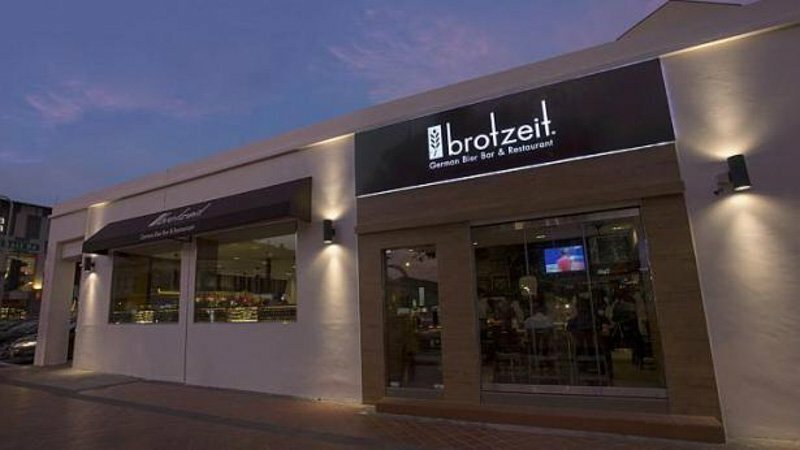 A home grown brand conceived in 2006 to introduce authentic German cuisine accompanied by world famous German beer in a chic and contemporary setting, Brotzeit is a leading franchised German concept casual dining restaurant, currently operating five corporate outlets in Singapore. The fifth Brotzeit outlet is housed in a row of conservation shophouses in the heart of Katong, a great place to dine and have a hearty round of food and drinks amidst their cosy setting. Led by award-winning artisan baker, Eran Mayer, Artisan Boulangerie Co. is a contemporary bakery with a remarkable French influence. 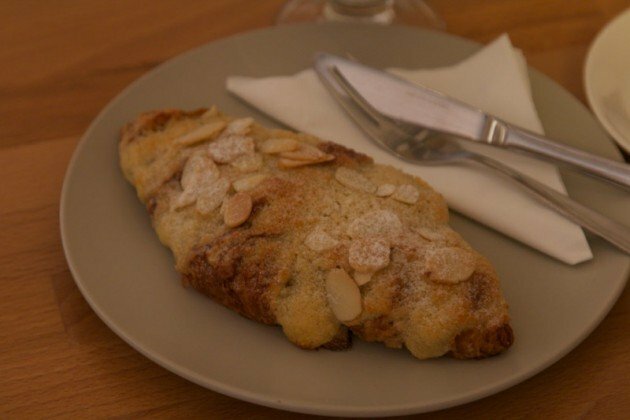 Having sourced for flour all the way from distant Paris, ABC is the perfect place to go for some tea and pastries. But I heard that their mains/ brunch are superb as well.